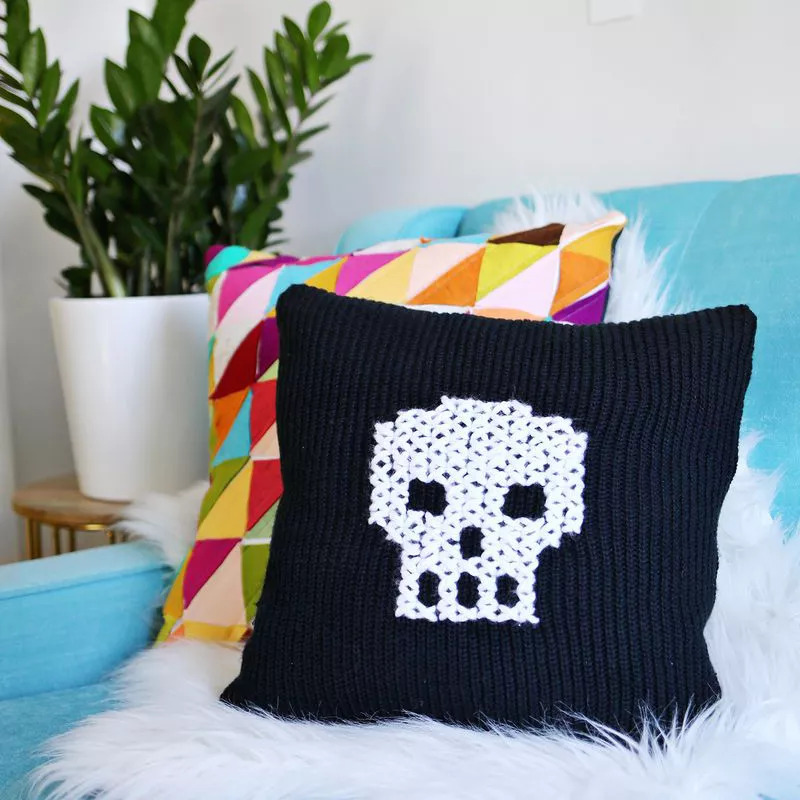 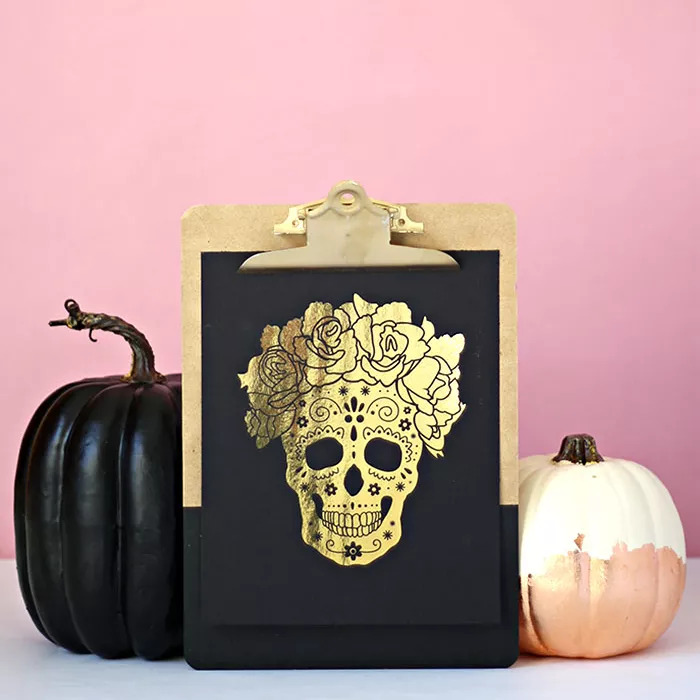 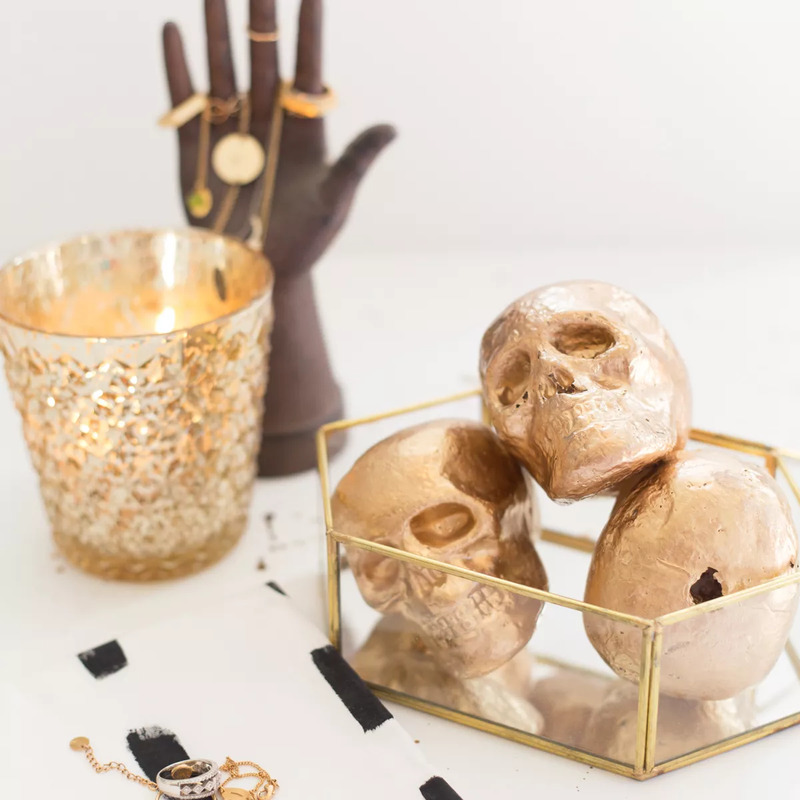 Skull accents have been a popular home accent trend for the past few years, and this chic metallic DIY skull book ends by Adventures In Fashion would work perfectly to add some gothic flair to your bookcase this Halloween or year round. 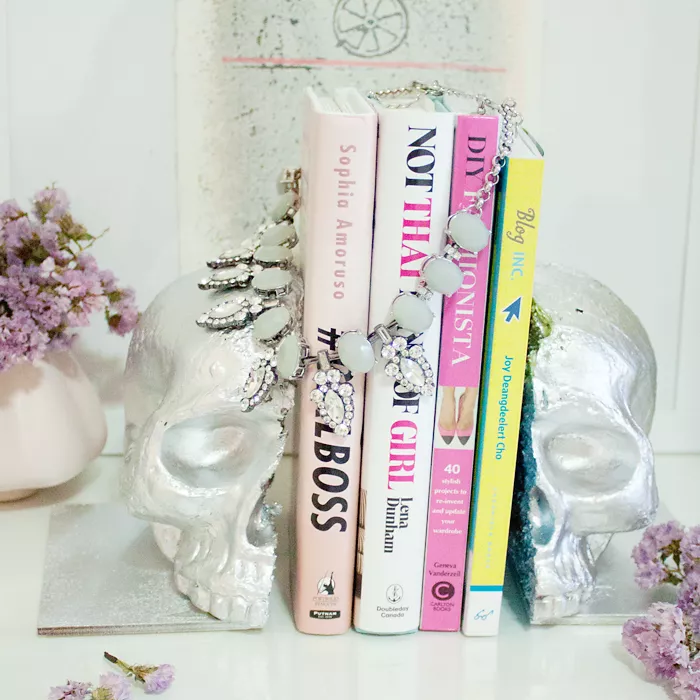 For an extra festive flair consider covering the books between the skull book ends with paper and giving them a new temporary cover so that they look like spell books instead to match the spooky skull book ends. 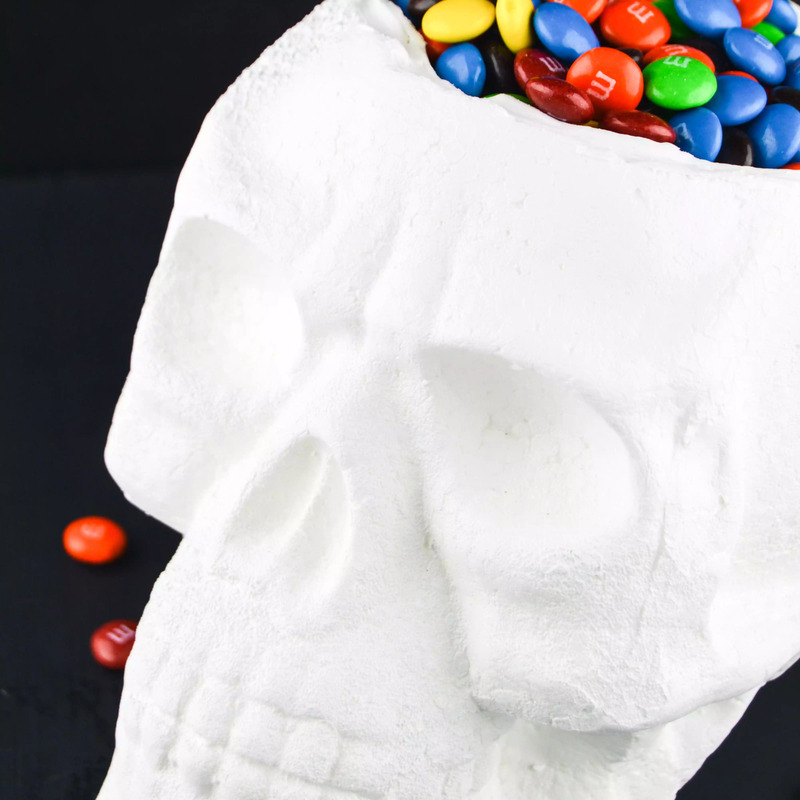 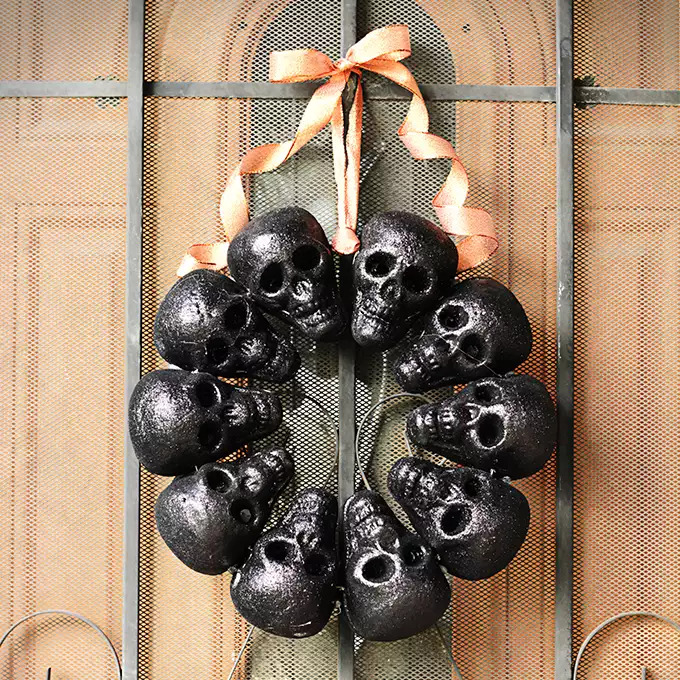 Instead of the typical candy bowl, surprise kids who come to the door trick or treating this Halloween by offering them to reach inside a spooky skull for their candy if they dare. 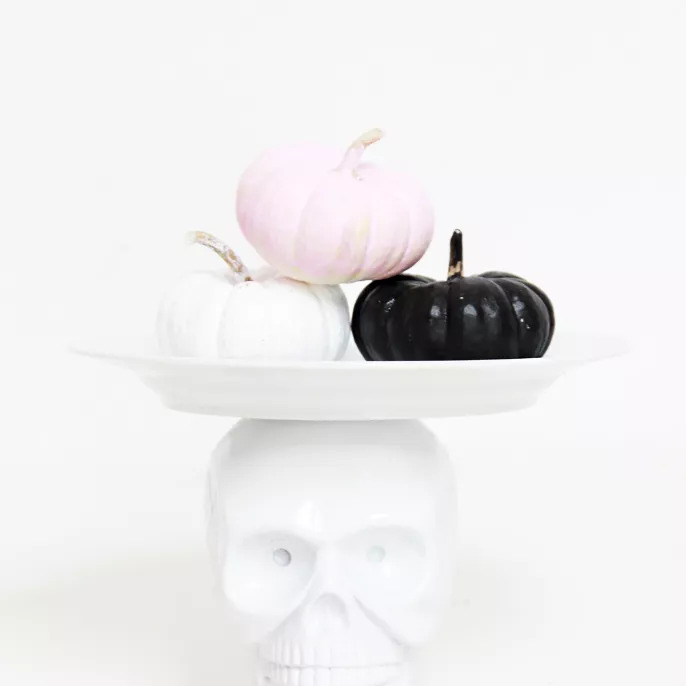 This creepy candy bowl would also be a fun way to share sweets with your co-workers on Halloween by leaving a bowl on your desk or in the coffee room for them to grab a candy treat from. 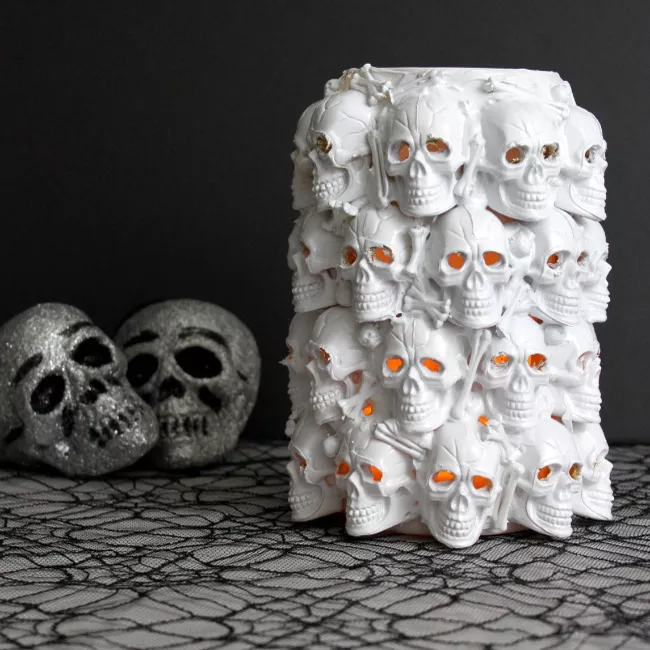 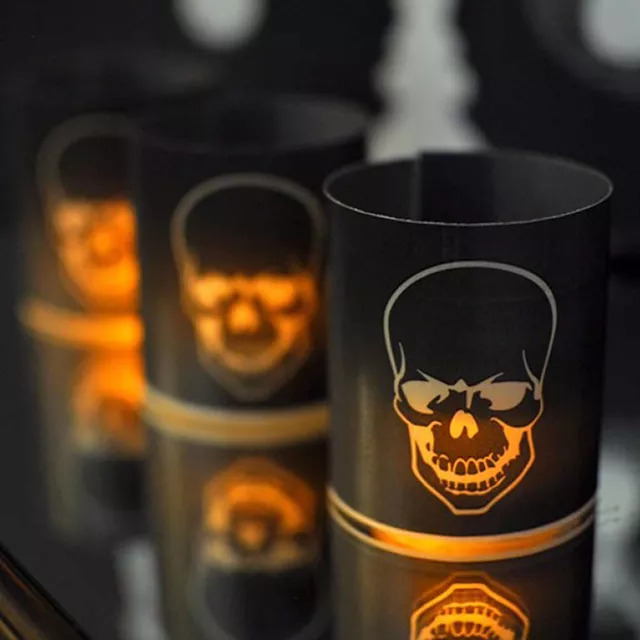 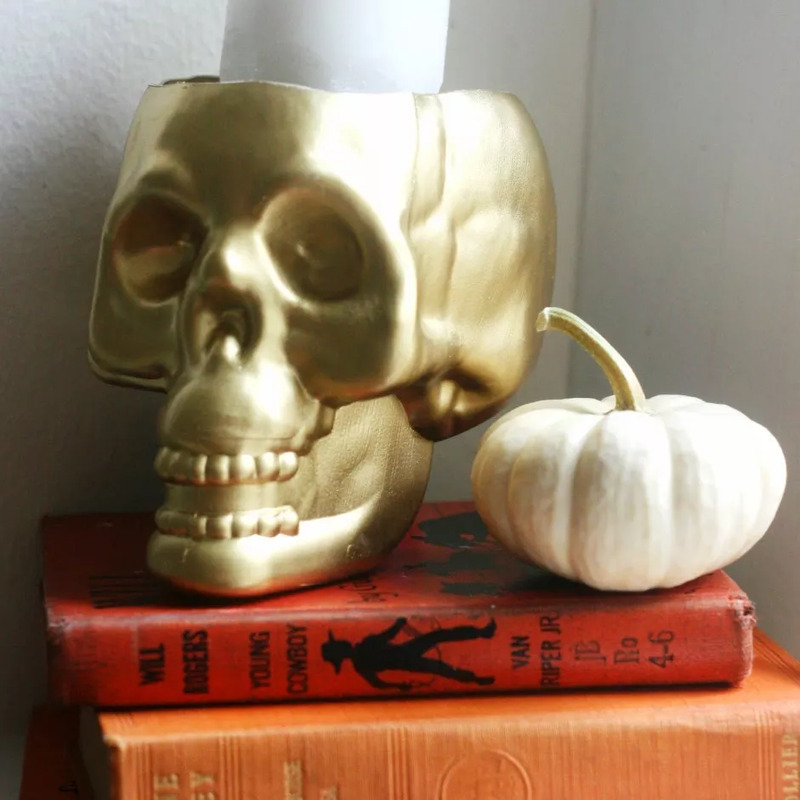 For some inexpensive Halloween decor head to the dollar store and pick up a plastic skull and turn it into a creepy gold candle holder perfect for holding a large pillar candle. 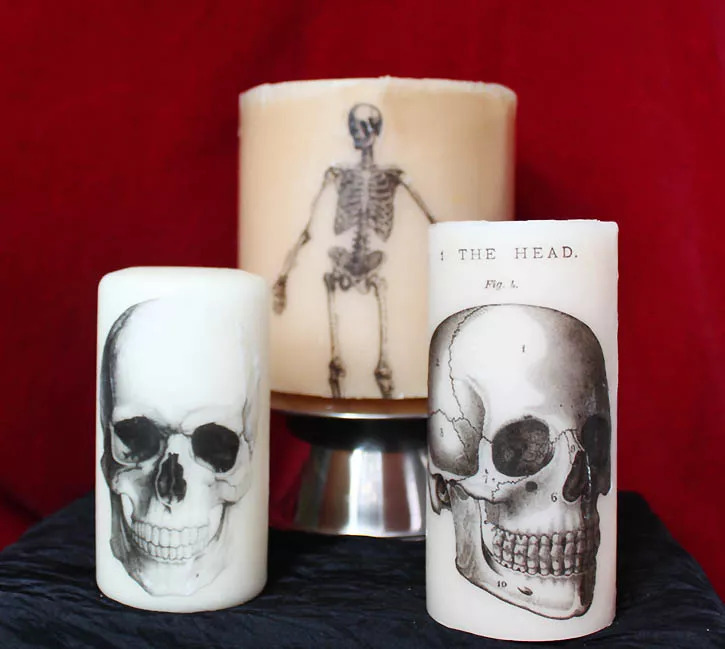 The slowly melting candle of a skull candleholder will seem right out of a witch’s den. 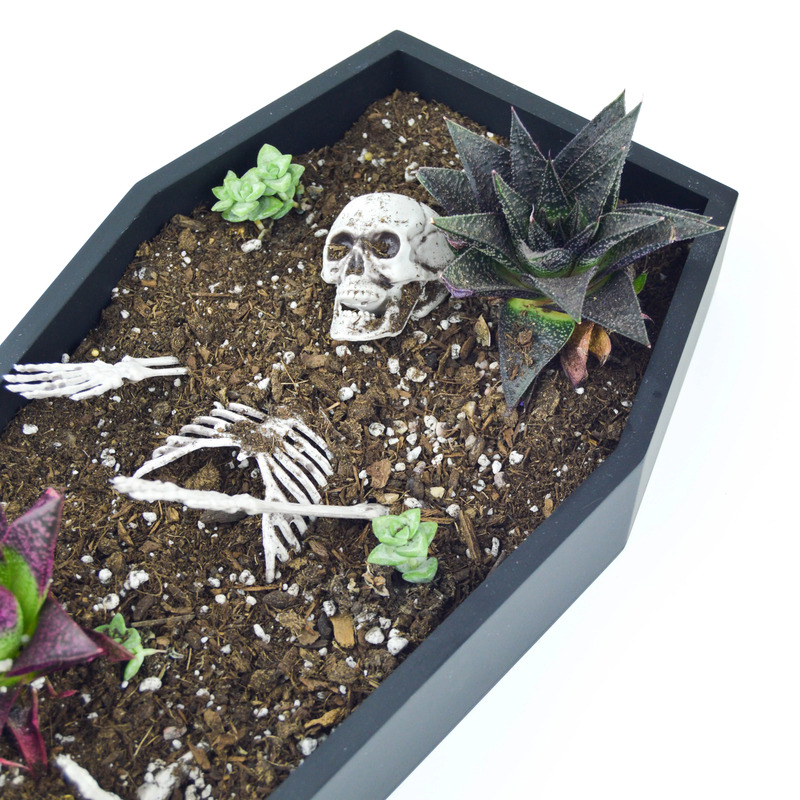 Transform your coffee table into a graveyard this Halloween by making a coffin planter for succulents decorated with a spooky mini skeleton with this creative DIY idea. 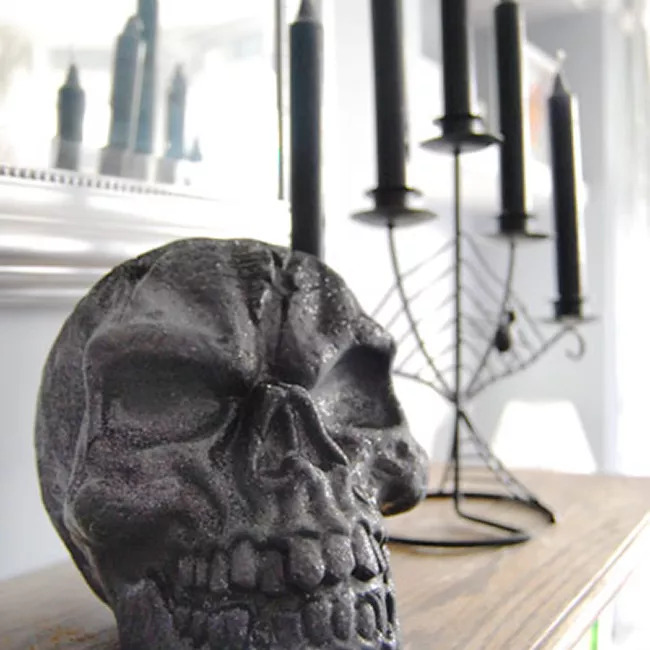 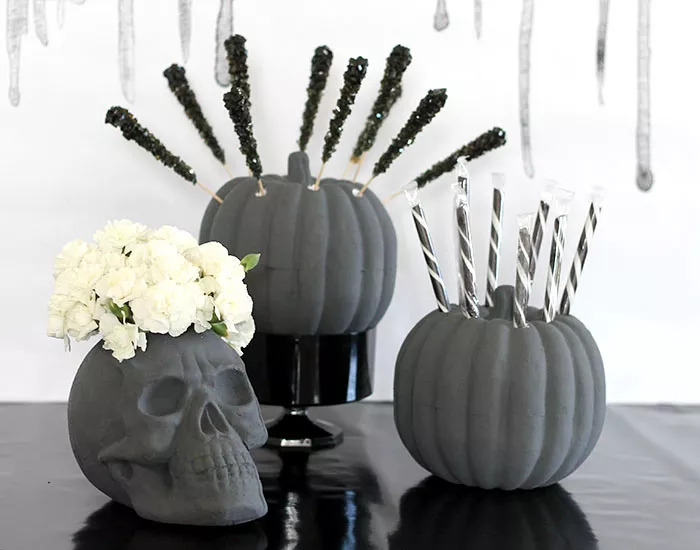 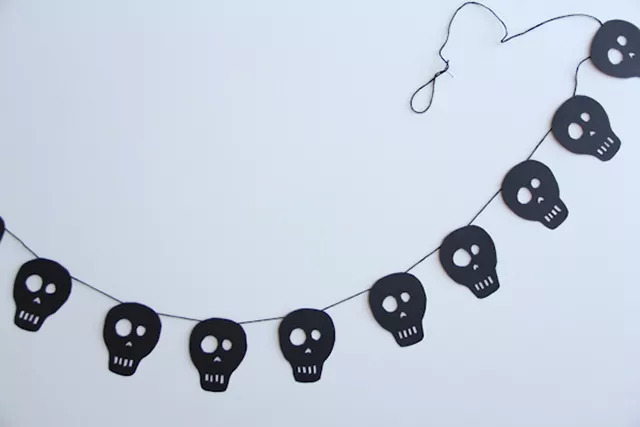 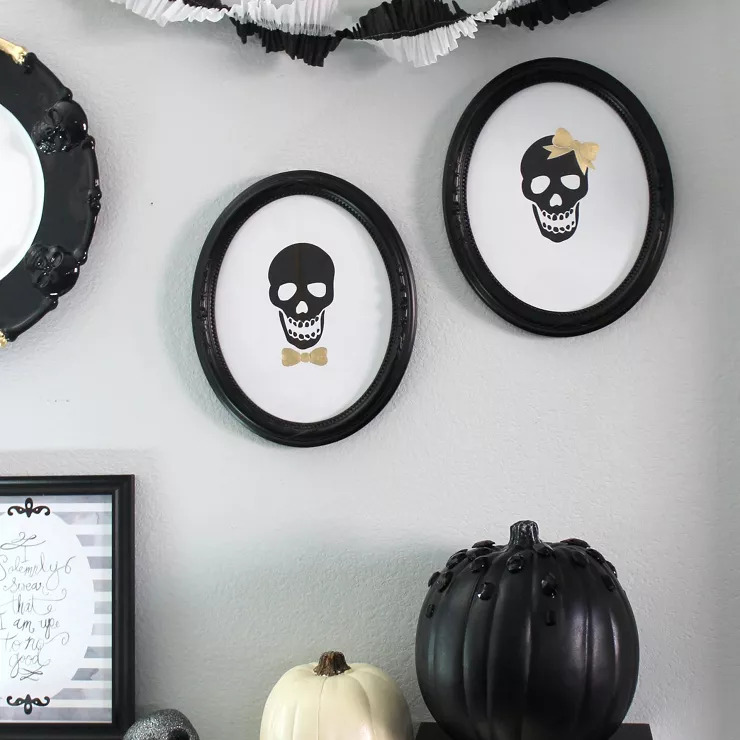 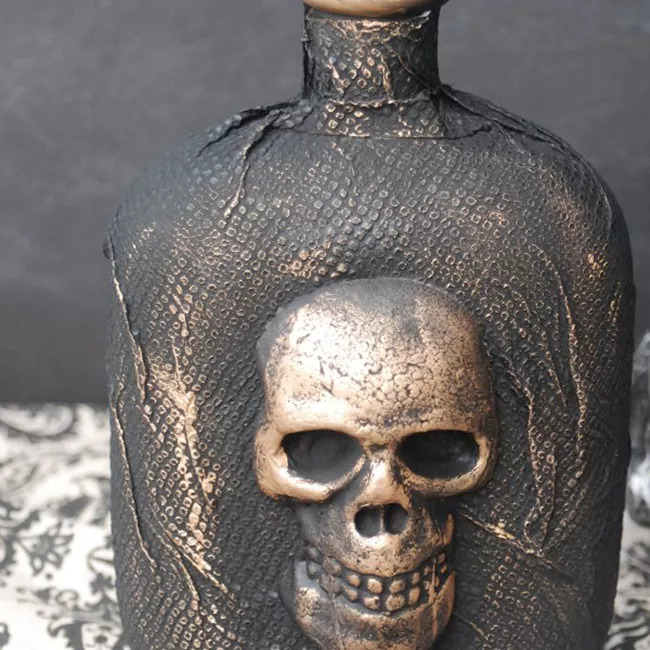 Update your home’s mantel for Halloween by adding a few black candles and painting a foam skull black and covering it in black glitter for some frightful decor perfect for October 31st. 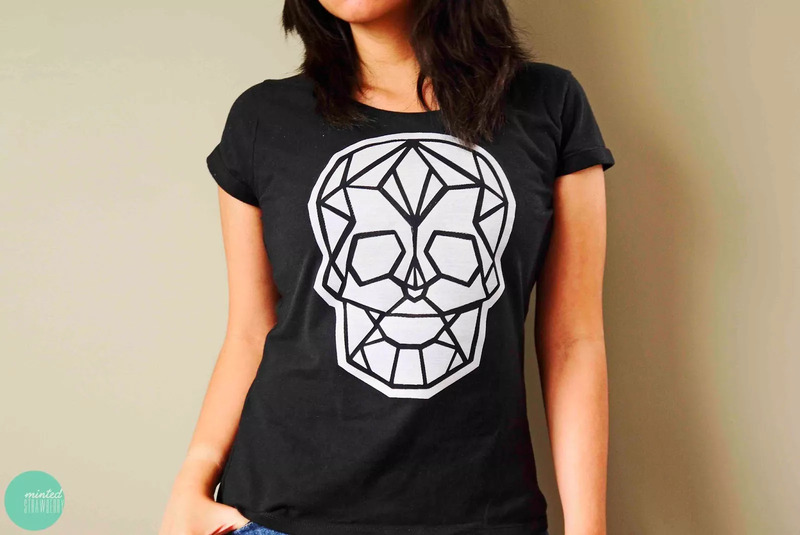 Halloween is quickly approaching, and if you still don’t have something to wear one easy idea is to make an iron-on skull t-shirt with the design available at Minted Strawberry that is perfect to wear to hand out candy to trick-or-treaters this Halloween. 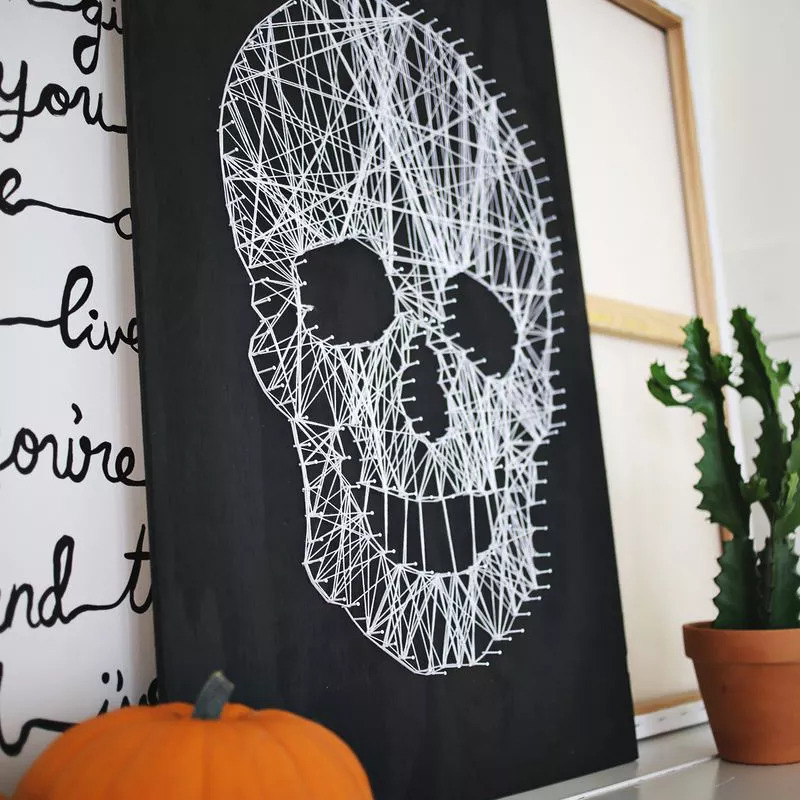 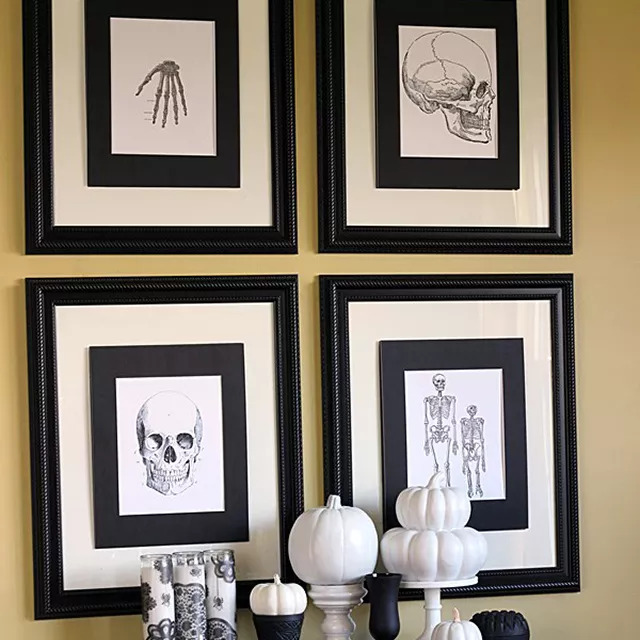 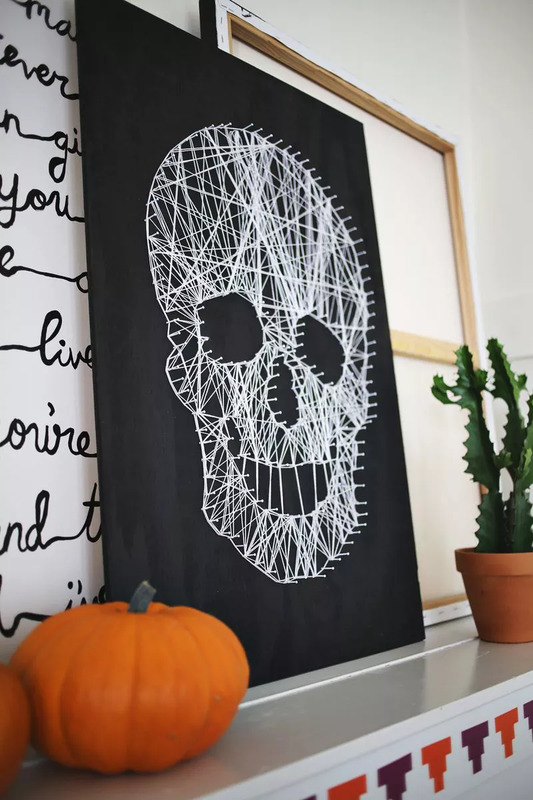 For some extra gothic flair to your home this Halloween print the free printable skeleton themed black and white artworks available at Madigan Made to frame and hang on your walls in your living room.